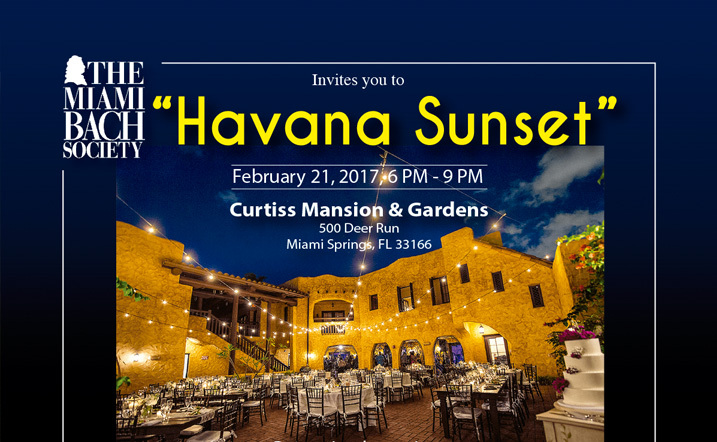 Reception honoring ARS LONGA’s First Concert in South Florida. Enjoy Musical “Meet & Greet” • Cocktails/Hors d’oeuvres. 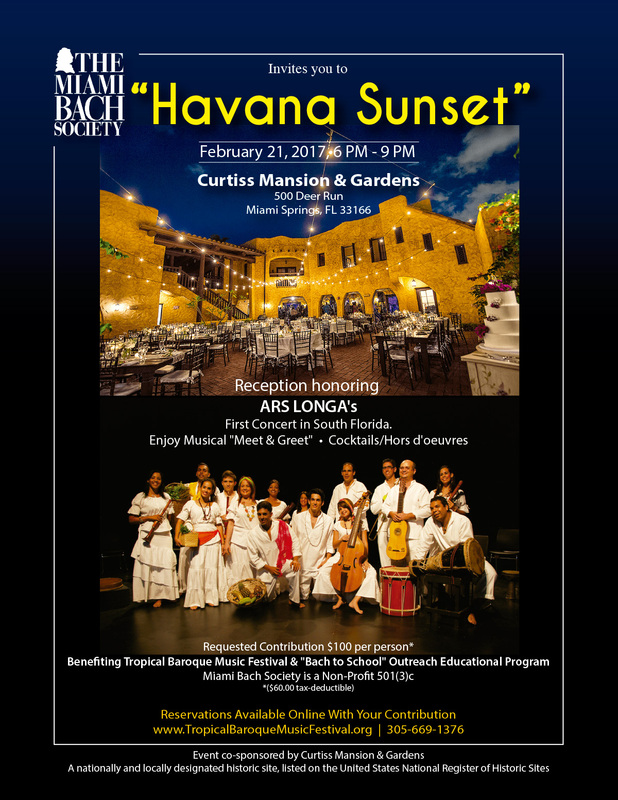 PLEASE NOTE THERE IS A $100 CHARGE FOR THIS EVENT and Reservations available only with contribution www.TropicalBaroqueMusicFestival.org 305-669-1376.